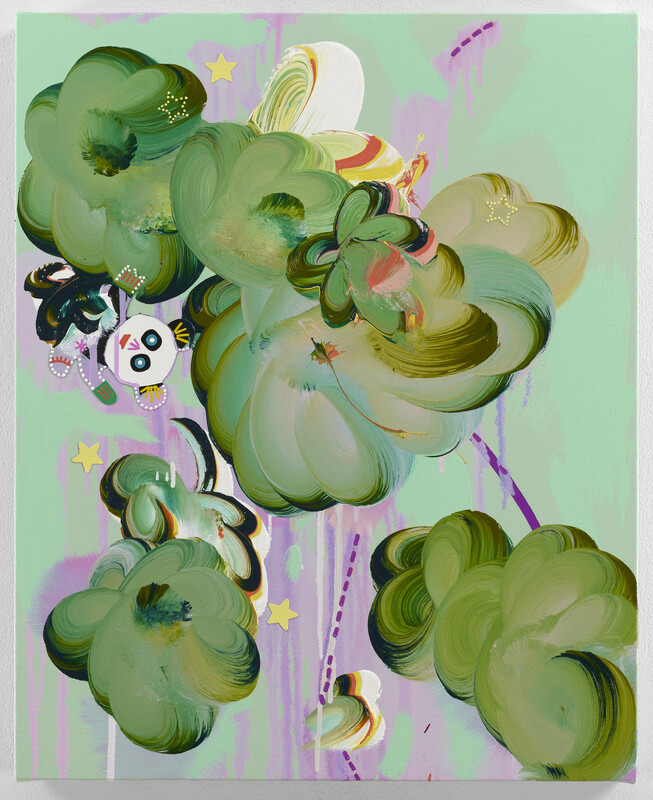 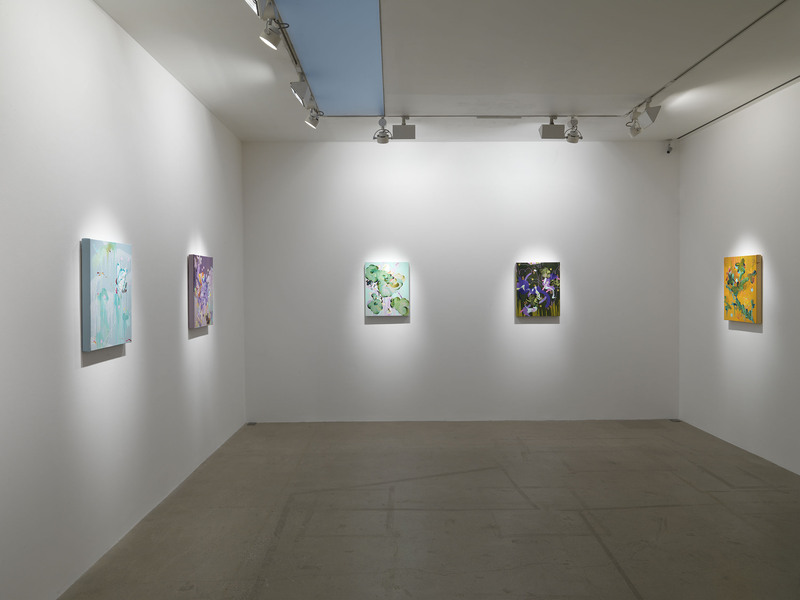 Fiona Rae’s new paintings at Timothy Taylor are well worth a visit if you have not yet been. 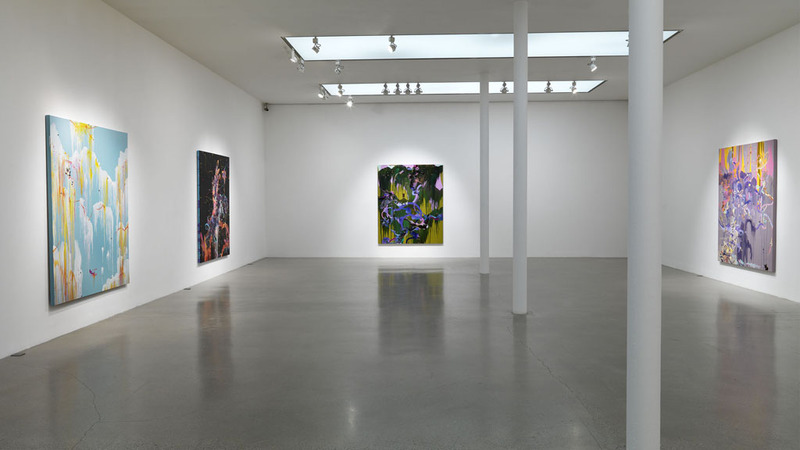 The British artist is of course very well-known as one of the so-called ‘Young British Artists’ (YBAs) that came to prominence in the 1990s and in the intervening decades, has become an art world grandee as a former Tate Trustee and Royal Academician. 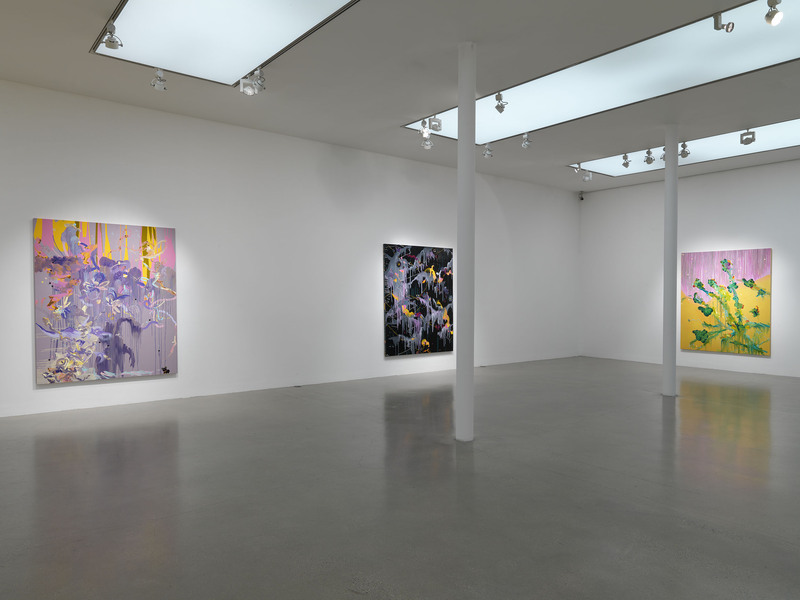 In characteristic fashion, these large-scale abstract paintings combine a diverse range of technical approaches, references and rhythms, creating dynamic and bold compositions with strong gestural identities, in a constantly shifting yet unified visual language. 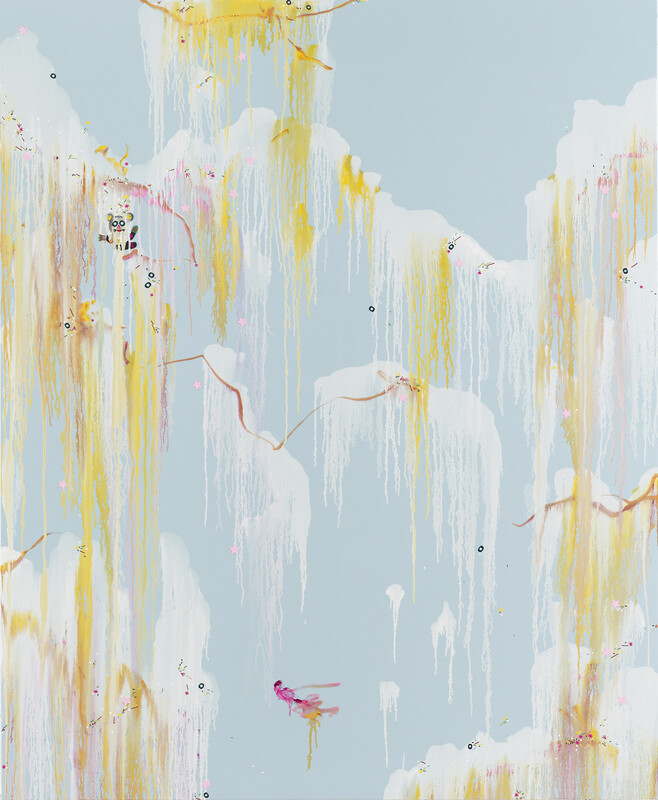 These new paintings were inspired by a string of Chinese embroidered pandas purchased by the artist from the Pearl Emporium in New York, which Rae describes as having given her ‘a reason to make a painting’ explaining that ‘sometimes it’s hard to justify the act of painting; its expressive and gestural marks can seem unwarranted and unconnected to anything much in the so-called real world…’ Cartoon-like pandas recur somewhat mysteriously throughout the works, combined in other cases with mathematical and astronomical symbols. 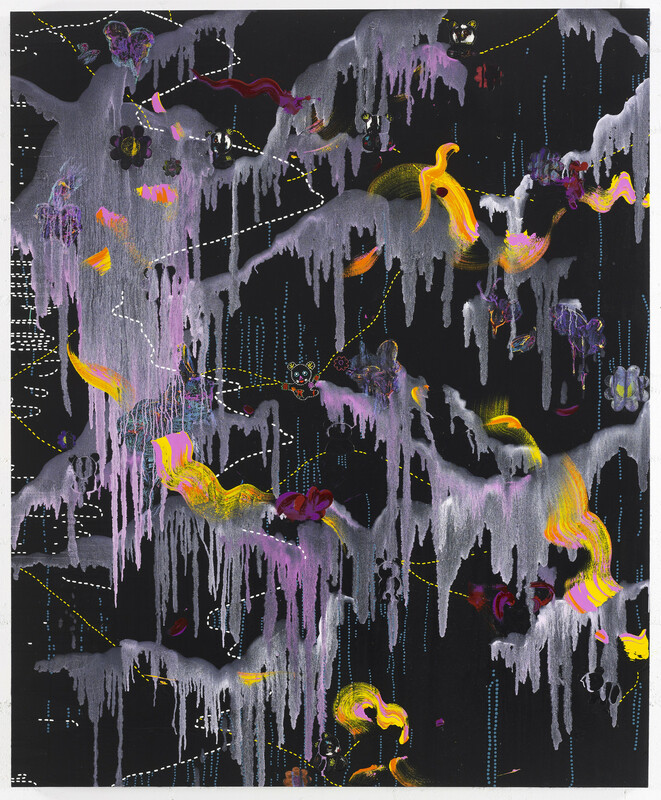 To my mind, some of the strongest work in recent years by a highly influential painter.